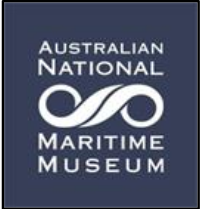 Please find attached (http://bit.ly/2pALdg0 and http://bit.ly/2pACvhZ) an invitation to attend an Information Session about the Australian Register of Historic Vessels to be held at the Port of Cygnet Sailing Club, Lymington Road, Cygnet, Wednesday 31st May, 7.30pm. Peter will talk about 'Why would I register my boat on the ARHV'. See the attached documents for more details.